There’s an upcoming concert in January that Westlife and Fazura fans sure won’t want to miss out on. Save the date, boys and girls, because 19 January 2019 promises to be a fun one for everyone! Westlife frontman Shane Filan is flying all the way to Malaysia for what is touted as the country’s first lakeside concert, which will also feature local singer-actress Fazura. “I’ve always been a huge Westlife fan, so I’m excited to perform at the same concert as Shane!” Fazura enthused during the press conference held earlier today. When asked if she would have a duet stage with the Irish singer, she only offered a mysterious smile and said that there are things being planned. She even joked that she might get husband Fattah Amin, who is also signed under Universal Music Malaysia, to perform a song with her. Fazura shared that she will be singing songs from her first album and Shane is expected to sing Westlife hits as well as his own solo songs. 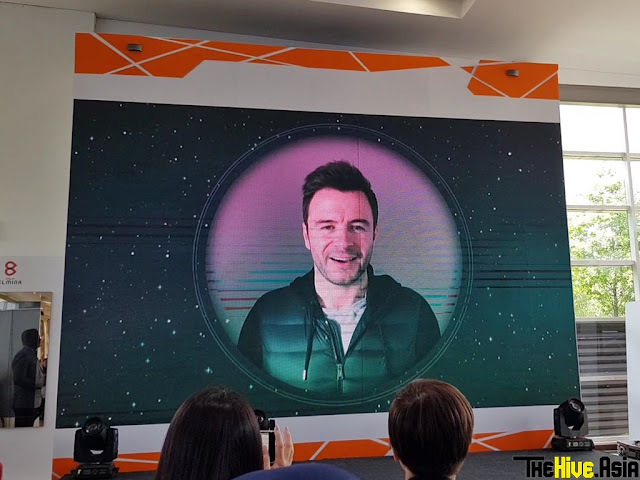 While Shane couldn’t drop by in person at the press conference, he did send a video message saying that he was looking forward to the concert. to Malaysian media via video message. Aside from the two stars, there is also a third act dubbed ‘the mystery singer’, whose identity has not been revealed by the organisers at the moment. Want to be part of all this excitement? Then just head on over to the City of Elmina, Shah Alam, for the Elmina Lakeside Concert – to be held on the abovementioned Saturday date at 8pm. While waiting for the concert to start, visitors can play the various games and activities that will begin at the venue from 5.30pm onwards. There will be a fire-eater show, 12D cinema, hot air balloon, inflatable obstacle course, food trucks and more, making this a perfect event for youngsters as well as families. The Elmina Lakeside Concert will mark the opening of the first 36 acres of the 300-acre Elmina Central Park, which also serves as the concert venue (remember this to easily Waze your way there). I think the website is great, looks wonderful. Visit this. A very good website, I have never found a website like this, it always works Crazy Bulk Cutting stack results.